Bananas need no introduction. They are widely available in almost every culture, with its true origin being from Malaysia. This is one of my favorite fruits as it’s easily available, delicious, and most importantly, extremely nutritious. There are approximately 300 species of banana but only about 20 varieties which are cultivated commercially. And these come in various sizes. When ripened, the peel turns yellow. It can easily be peeled and eaten as it is. The fruit is sweet, and its texture soft, smooth, with a creamy yet firm pulp which is easy on digestion. Interesting fact: the banana plant is not a tree, but a very large herb plant! Did you know that if you ate at least three bananas a day, you can significantly reduce your risk of having a stroke or heart attack? According to a study, consuming one banana at breakfast, one at lunch, and one in the evening will provide enough potassium to reduce the risk of a blood clot in the brain by 21%. The 2011 report, published in the Journal of the American College of Cardiology, suggests that stroke cases can be prevented or even reduced by the potassium levels found in certain foods that are high in potassium, especially bananas and most fruits and vegetables. They are also a good source of dietary fiber, and low in saturated fat and cholesterol. This is also one of the few fruits which contain the entire range of vitamin B—thiamine (B1), riboflavin (B2), niacin (B3), folate (B6) and very little B5 and B12. it has four times the protein, twice the carbohydrates, three times the phosphorus, five times the vitamin A and iron, and twice all the other vitamins and minerals. Along with all the above, bananas also contain ample amounts of copper (to prevent graying hair), chromium, fluoride, manganese, selenium (to prevent pigmentation) and zinc. It’s really an amazing fruit! Bananas have been known to alleviate a number of short and long term conditions. When taken consistently over time, it has also been reported to cut the risk of death by strokes by as much as 40%! Anemia: Bananas provide iron which is essential for the production of hemoglobin, myoglobin and many enzymes essential for the formation of red blood cells. 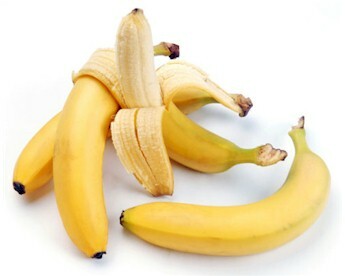 Blood Pressure: A recent study has revealed that “three bananas a day will keep blood pressure at bay”. This is definitely a cheaper and definitely much healthier alternative to expensive and harmful drugs. Brain Food: Research has shown that students eating banana at breakfast, break and lunch are more alert in the class. The rich potassium and magnesium in banana boost their brain power, assisting much in their learning ability. It is also a great mood-boost food, so next time you feel down, eat a banana or two, or three! Constipation: The pectin content in bananas is water-absorbent, creating the necessary bulk in easing constipation. Definitely a healthier choice over laxatives. Diarrhea: Eat a ripe banana. It normalizes colonic functions in the large intestine by absorbing large amounts of water and helps regulate proper bowel movements. Heartburn: Bananas have a natural antacid effect in the body, so if you suffer from heartburn, try eating a banana to counteract the stomach acidity for a soothing relief. Morning Sickness: Snacking on bananas frequently helps to keep your blood sugar levels up, thus preventing the nauseous feeling. Mosquito bites: When stung by a mosquito, try rubbing the affected area with the inside of a banana skin. It is amazingly effective at reducing swelling and itchiness. Muscle Cramps: A deficiency in potassium can cause muscular cramps and greater susceptibility to injury. Make bananas a regular part of your diet if you exercise a lot, both for an energy boost and to prevent cramps and injuries. Quit Smoking: The vitamins B6 and B12, and the potassium-magnesium combination found in bananas has a profound effect in helping the body recover from nicotine withdrawal of one who is trying to quit smoking. Stomach Ulcer: This is the only fruit that a chronic ulcer sufferer can eat without causing distress to the stomach. It neutralizes the over-acidity of the gastric juices and reduces the irritation of the ulcer by coating the stomach lining. Ripe bananas relieve acute symptoms and promote the healing process. Eat bananas when they just about ripe. This is the time when the carbohydrate content is less than when it gets fully ripe. Unripened bananas do not taste as good and may be difficult to digest. 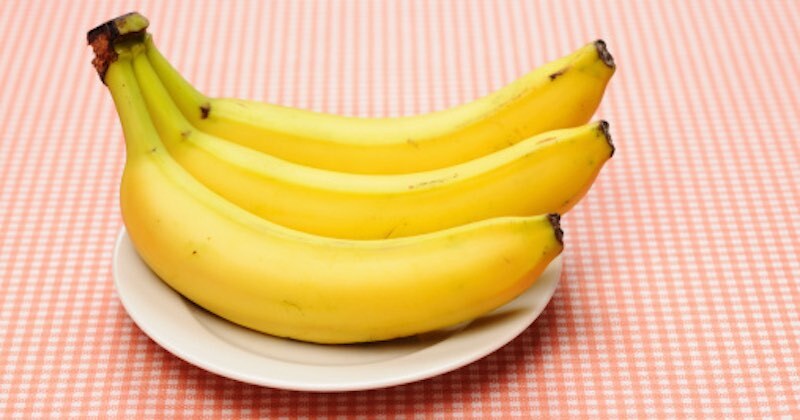 Keep raw bananas at room temperature so that it will ripen naturally.